Lighting manufacture. 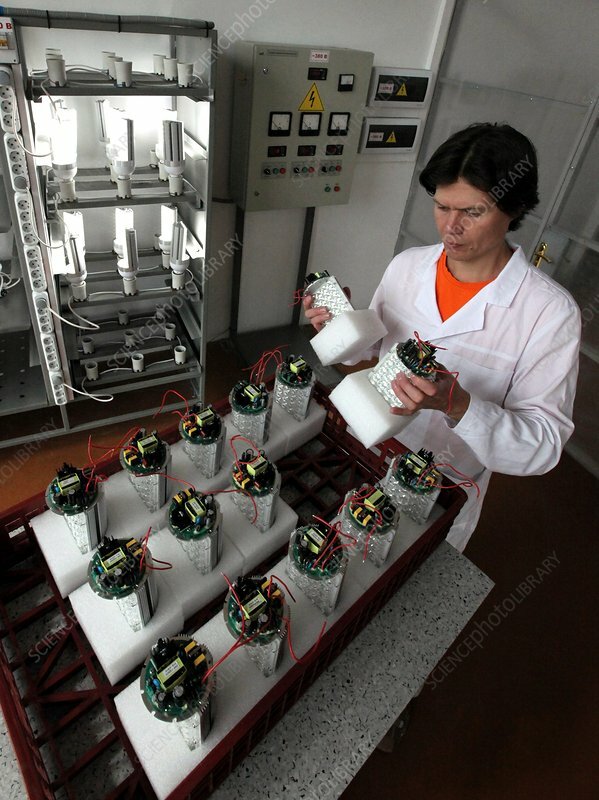 A technician checking lamps made from light-emitting diodes (LEDs). LED lighting is increasingly used in domestic and commercial buildings due to its very low power use. Photographed in Vladivostok, Russia.